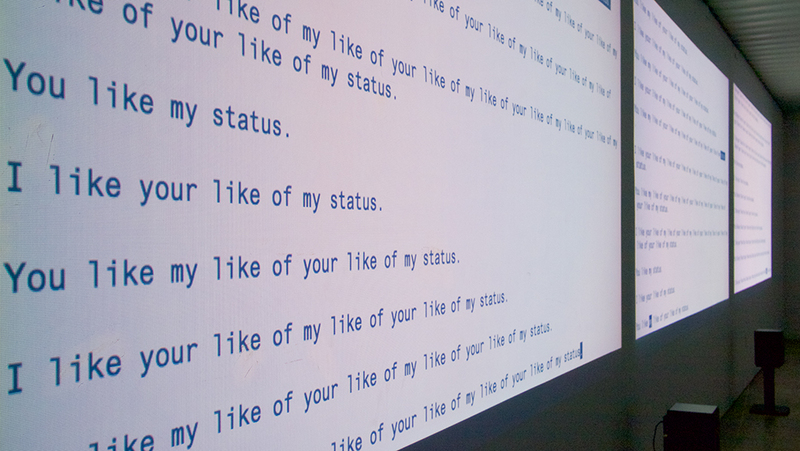 You like my like of your like of my status is a sound and video installation. 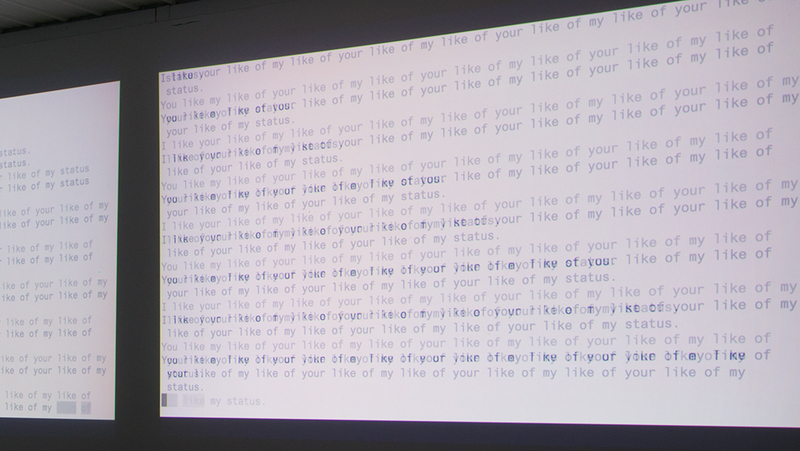 Each screen follows a progressive generative text pattern of increasingly “liking” each others’ “likes”. 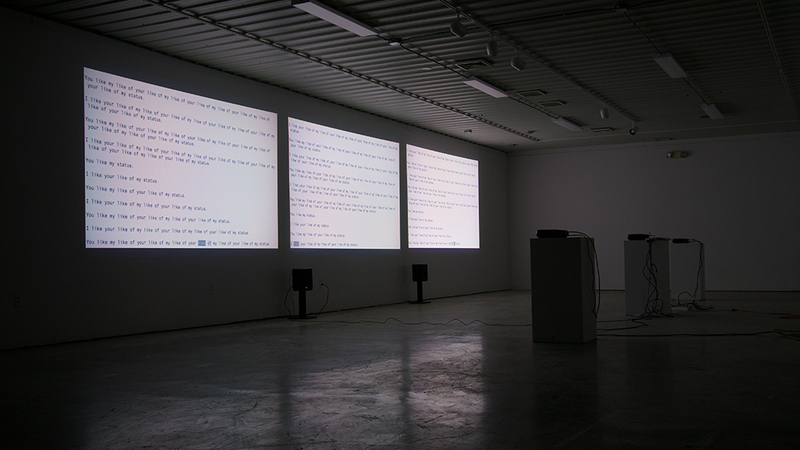 The text is spoken using a real-time speech synthesis engine, creating an immersive experience that constantly changes, shifting in time, pitch, and rhythm. Those temporal and syntactic shifts are influenced by the historic “like” activity on my own Facebook account; thus the work also acts as a loose sonification and visualization of that data. The video above is an edited representation of the installation meant to demonstrate some of the variety that viewers will experience. During exhibition, the work runs continuously, creating an ever changing piece that is never the same at any two moments.